The best thing about DC’s new Midnighter series is that it doesn’t shy away from the gay hero’s personal life, exploring facets of the gay lifestyle that are rarely touched on in superhero comics. 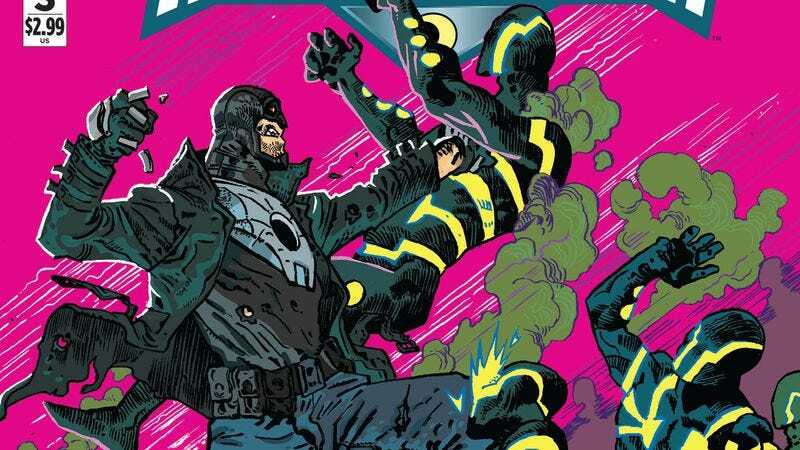 Writer Steve Orlando has fully embraced Midnighter’s homosexuality in his scripts, and moments like the hero going on a date with someone he met on Grindr or battling homophobia in Russia make this title stand out. It’s quickly become one of the highlights of the DC YOU campaign thanks to its fine balance of introspective character work and the pulse-pounding superhero action Midnighter is known for, and this week’s issue #3 continues to offer both as the hero faces off against the villainous Multiplex after hitting a nightclub with a few friends.